Barbara Withem, known to friends as “Bobbie”, passed away February 5th at the age of 83 surrounded by loved ones. Bobbie was born November 7, 1935 in Owen County to Hobart and Hattie (Hultin) Sherfield. She worked many years at Spencer Elementary in food service, allowing more time with her family whom she loved beyond measure. 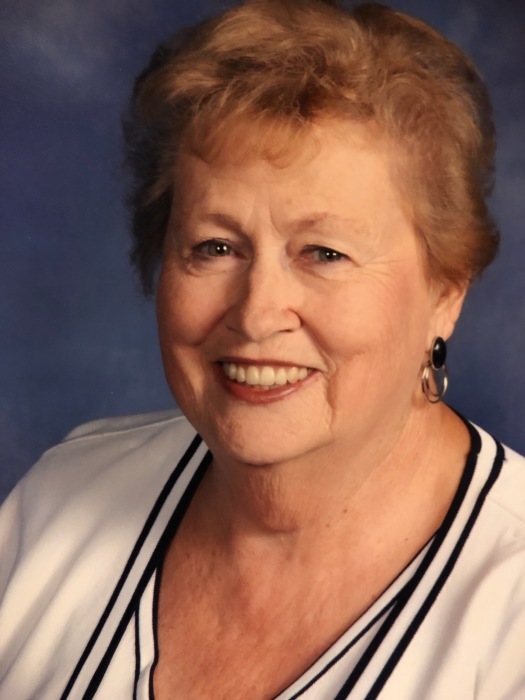 Bobbie truly lived life to the fullest with simple pleasures; chatting with her friends, walking her beloved dog Cece, spending time with her children and grandchildren. Sundays were especially important to Bobbie, carrying on the tradition of Sunday dinner, as her mother had for so many years before, spending the day laughing and loving the time with her family. Laughter was Bobbie’s most wonderful trait, it didn’t matter if she was laughing with you or at you, she brought joy and laughter into every situation. Memories full of love and laughter will be cherished by friends and family. Bobbie will be forever loved and missed by her children Dan Reynolds, Jim (Regina) Reynolds, Ron (Cindy) Reynolds, Connie (Rich) Kay, Angie (Jerry) Lewis, George Withem and step-daughter Judy (Bill) Terrell. Grandchildren Josh, Bram, Blake and Kyle Reynolds, Michelle Mosier, Mitch (Shauna)Wetzel, Megan Wetzel (Mark Shields), Laney, Sophie, Hannigan Lewis and Jonathan Wetzel. Sisters Patty (Harry, deceased) Sarkine, Donna (Fred) Dorsett. Bobbie was preceded in death by her husband, Bennie, granddaughter Jennifer Reynolds, six brothers and two sisters. Funeral services will be 11:00 AM, Saturday, February 9, 2019 at the West & Parrish & Pedigo Funeral Home, 105 North Montgomery Street, Spencer, Indiana. Dr. Allan Lewis will officiate. Burial will follow in Riverside Cemetery in Spencer. Visitation will be 4:00 PM until 8:00 PM, Friday, February 8, 2019 and again Saturday, 10:00 AM until the time of service, at the funeral home.